Decorate your home for the holidays using beautiful angel patterns. 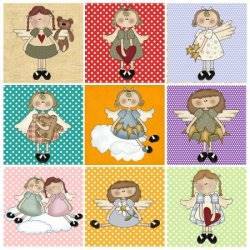 Create a colorful angel wall hanging, table runner or quilted spread with charming angel blocks and appliqués. 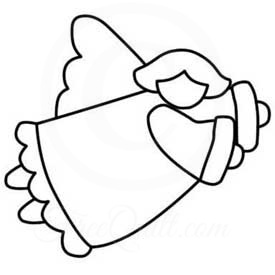 Add a tiny guardian angel to a jacket lapel, shirt collar or pocket with one of these free angel outlines. Christmas angel print fabrics are also popular choices for quilt blocks. Use an angel outline in your Christmas décor to create a beautiful and memorable holiday theme for family and guests to enjoy throughout the season. Small appliqué angels look great on shirts, as well as adding holiday flare on a seasonal throw pillow or even a festive Christmas stocking. Use holiday colors of green, red and gold to tie your Christmas angel accents to the rest of your holiday decorating. 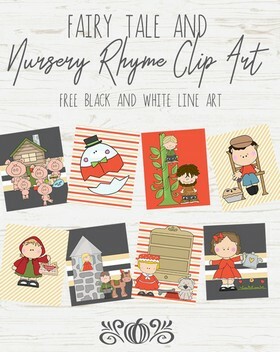 If you are looking for more angel patterns to use for applique, NorthPoleChristmas.com is your go-to site. 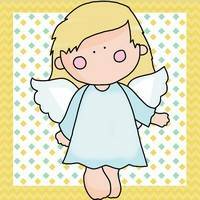 They have many angel outlines that would be perfect for applique. 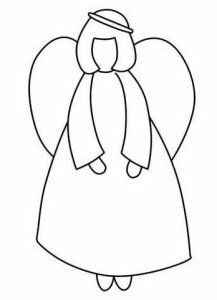 Click on the Christmas angel for a printable pattern. 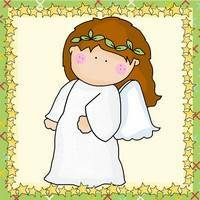 This little angel, who measures 10 inches high, can be used as a wall hanging or a tree-topper. 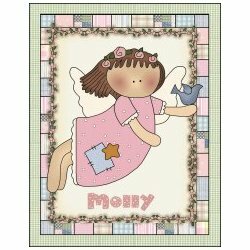 Quilt block pattern of a angel that has heart shaped wings and is also holding a heart in her hands. 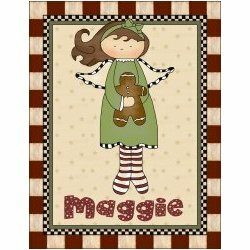 Make this adorable angel baby quilt that measures 51 x 54 inches and will keep baby warm and cozy. This beautiful Appliqued Angel wall hanging is 10" x 21" and uses 4 foundation-pieced log cabin blocks. Charming 18 x 18 inch block of a sweet country angel carrying a heart with a smile on her face. This darling applique would be perfect for a quilted wall hanging or pillow. This is a small block that measures 6 x 6 inches of a Heavenly angel.